Coffee Classic Services – Why Service Your Coffee Machine? 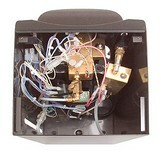 WHAT COFFEE MACHINES DO YOU REPAIR OR SERVICE? We repair and service all types of traditional Domestic & Manual espresso coffee machines & bean to cup machines. These include Saeco, Jura, Sunbeam, Krupt, Rancillio, Iberital, Fracino, Gaggia, Brasilia and many more. How does it work to book an engineer? Simply Email us and we will contact you ASAP. Someone from Coffee Classic will organize everything for you as quick as humanly possible. After all, we understand how difficult it can be to work without a coffee machine! Coffee machines are expensive and very important peices of equipment, we can maintain and repair in house via our own engineers, or with strategically placed service engineers in the field. Our fully trained engineers can take care of all your Domestic – Manual – Professional cappuccino and espresso coffee machine. We offer professional, servicing, repairing and engineering for all your coffee machine needs at very reasonable rates, whereby every 6 months recommended servicing for all espresso coffee machines to prevent any problems with your machine are available. This consists of checking for any steam / water leakage, electrical safety checks, monitoring of the safety pressure valve, boiler / pump pressure adjustment, checking group temperature. Will be offered at our service. Dismantle clean and check all water ports. Dismantle clean and check all internal filters. Electric and electronic parts check and test. Measuring and adjusting pump pressure. Measuring and adjusting boiler pressure. Stainless steel parts deep cleaning. Anti rust treatment to rusty parts.